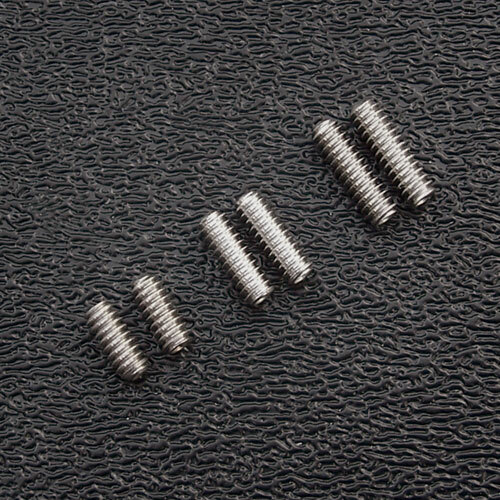 Stainless steel bridge saddle height adjustment screws for American Fender® Stratr® or similar guitars that use the #4-40 threaded saddle height adjustment set screws. Won't rust or corrode. Uses the 0.050" adjusting hex wrench which is available here. These little screws are the most often lost screws on any Strat. Select Length: 1/4" 5/16" 3/8"
All stainless steel #4-40 machine screw threading.